Hey everyone! I’m happy to announce that I have finally had time to upload the new covers for the early books of the Shadow Space Chronicles. 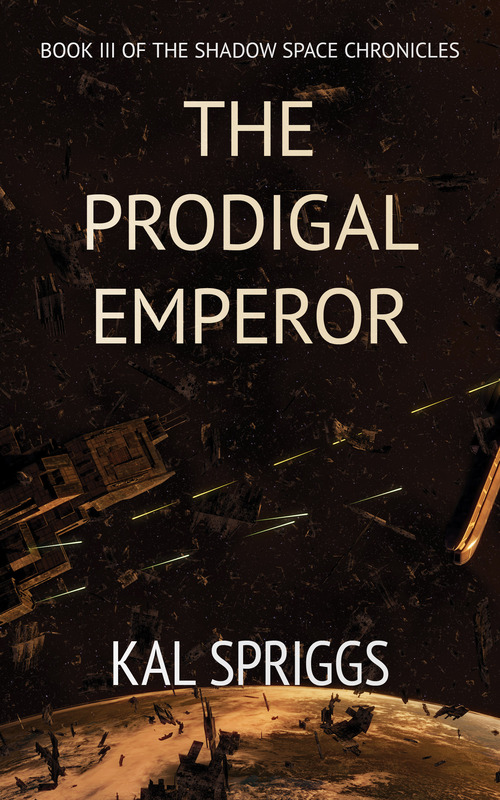 The Fallen Race, The Shattered Empire, The Prodigal Emperor, and The Sacred Stars all have new cover art from the fantastic David C Simon. Layout and such is done by Robert Brockman. These covers are live on both print and ebooks and will soon be live on the audiobook versions. I would love to hear your thoughts on which one is your favorite. 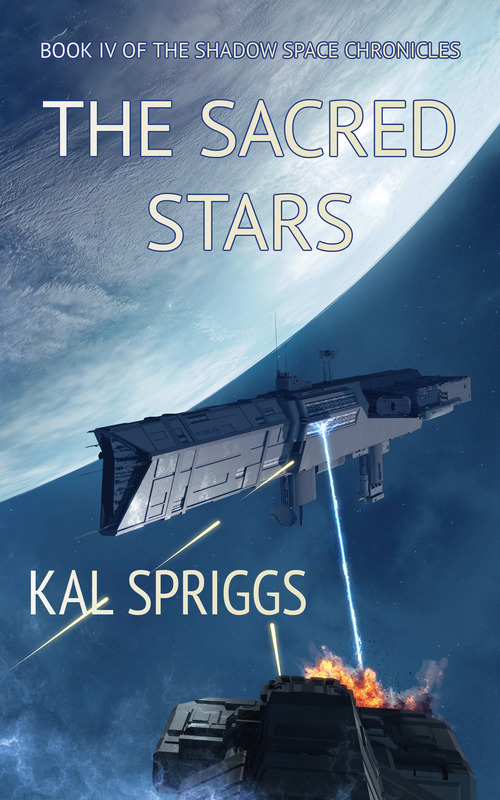 Of the four, I have to say I really like the cover for The Sacred Stars, but let me know what you think! The Shattered Empire… Coming Soon! I’ve officially finished the first draft of The Shattered Empire, Book II of the Shadow Space Chronicles. This is good news if you liked The Fallen Race. It’s also good news if you liked my other books, since that means I can get working on those sequels. For those of you who don’t like my books… er, why are you reading this? For me, I’m very excited. This book has been setting on the backburner for five years now, waiting to be written as I waited for my lucky break in traditional publishing… until I went the self-publishing route. That said, I think the novel benefits from five more years of writing experience. 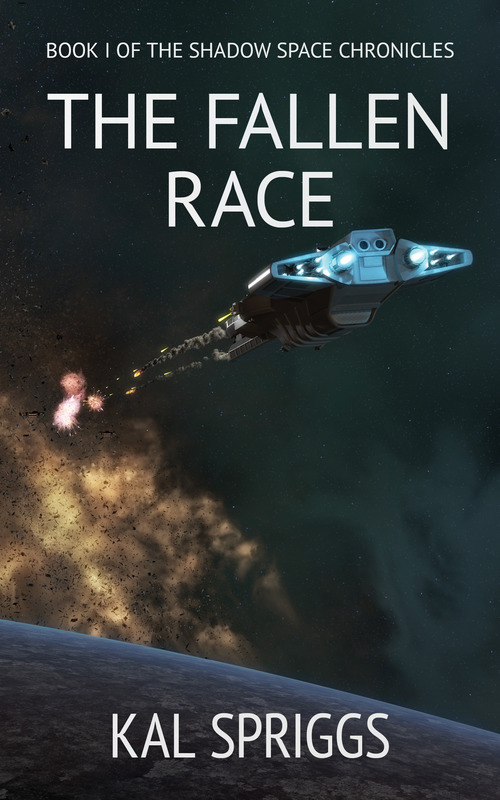 The novel is much larger than The Fallen Race, with the rough draft coming in at 160k words. That makes it 30% longer than The Fallen Race. Since my final versions of novels tend to add another 10% as I go back and fill in some details, that means The Shattered Empire will be a long read. Technical details aside, the book is chock full of action, character growth, and lots of details in the Shadow Space Universe. The main story line follows Lucius Giovanni as he goes about liberating Nova Roma from the Chxor… and finds that being the leader of a new nation is not all it’s cracked up to be. There are two additional story arcs that follow Mason McGann and a new character, a mercenary by the name of Garret Penwaithe, both of which tie into the main story, sometimes in unexpected fashions. What I really like about this book is that I finally get the opportunity to flesh out some of the side characters, the people who help Lucius Giovanni to do the things he does. As an author, getting to explore those characters, as well as the antagonists, was a wonderful opportunity. 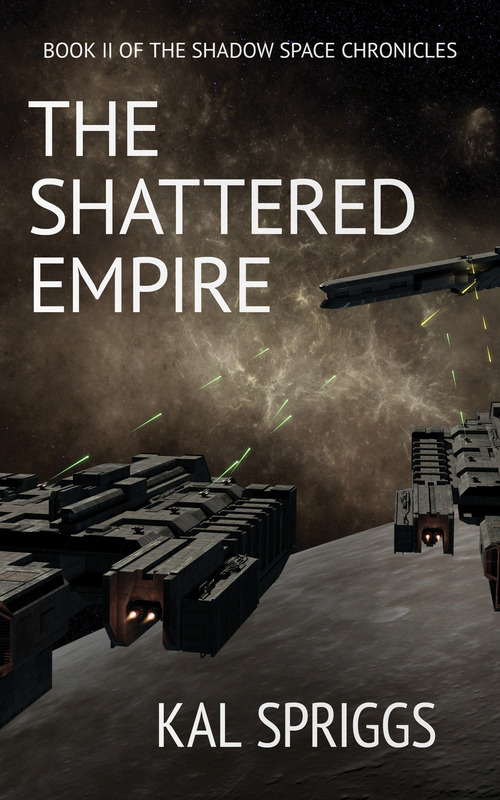 The Shattered Empire is now headed to my alpha readers. After a their feedback I’ll do my editing, copyediting, and then I’ll post it on Amazon. Keep checking here for updates, samples, and hopefully soon a post about the progression of the cover art. Thanks to all my readers for making this possible! I’ve added a short story to the Free Fiction area. The story is called “Runner” and it is something of an origin story on Run from the Renegades series. It was interesting and challenging writing from his perspective, and I hope that you all enjoy reading it as much as I enjoyed writing it. Feel free to make any comments about the short story on this post, I’d love to hear your input. As far as other updates, Renegades: Ghost Story is set to come out early next week. I’ll be planning a book bomb when it comes out, so if you plan on picking it up from Amazon, please do so on or around Tuesday, 21 Jan, around noon Mountain Standard Time. It’ll also go up on Smashwords, and from there to B&N, Kobo and the rest. I’ll post the Blurb and Cover for Renegades: Ghost Story this Friday (17 January). My novel, The Fallen Race, is on track to come out at the end of that week. Right now it is forecasted for Friday, 24 January. Again, I’ll be trying a book bomb, looking at 12 noon (MST) on Saturday, 25 January. While the Renegades series is more of an exploration/adventure SF story, the Fallen Race is military science fiction. I discussed it with Jason Cordova in my interview at Shiny Book Review. The interview is here for those who want to read it. Lastly, for those who enjoyed the Echo of the High Kings previews, I have good news. The novel will be coming out on Amazon next month, and for the first three days, it will be free to purchase. I’ll have to make it exclusive to Amazon to do so, but I’m conducting a kind of experiment to see if that will allow me to boost sales, and compare it to my sales of other books. Look for Echo of the High Kings to come out in mid February of 2014.